The City of Fall River hired The Keefe Company in 1996 to develop a strategy for the reuse of the 33-acre Kerr Mill site, which had been levelled by a 1987 fire. The redevelopment strategy called for the construction of a modern industrial park on the site, along with a new waterfront park on the shore of South Watuppa Pond. 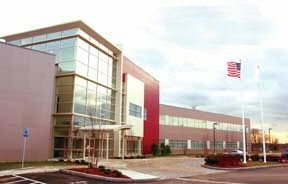 The first phase of the project, the UMass-Dartmouth Advanced Technology and Manufacturing Center opened in 2001 in a new 60,000 square foot facility. 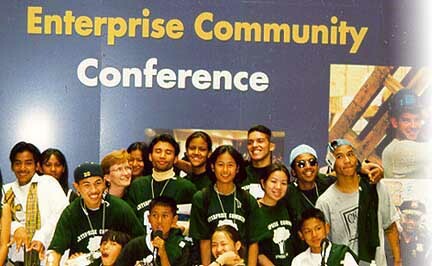 In 1994, the federal government designated 66 "Enterprise Communities" around the nation. Each one is receiving funding and technical assistance for community development efforts including business development, human services, job training and education. 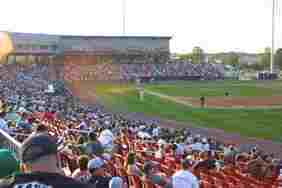 The Keefe Company developed the strategy the City of Lowell used in its successful application for designation as an Enterprise Community, which has brought $3 million in federal aid to the city. Working for Boston University, The Keefe Company developed a comprehensive public improvement program for the streets, sidewalks, and subway and bus stations of Kenmore Square. The program won unanimous support from businesses in the Square and the surrounding neighborhood, and is now being implemented. The Keefe Company also advised BU on private commercial and residential development opportunities that the university is now actively considering. The City of Salem asked The Keefe Company to prepare action strategies for the city's historic waterfront and for its downtown retail and cultural core. The plans proposed a number of "catalyst projects" to strengthen the downtown and historic areas and improve the linkages between them. The city has embarked on an aggressive implementation program for both of these plans. Working for the City of Brockton and the Brockton 21st Century Corporation, the Keefe Company prepared a downtown revitalization action plan, and a redevelopment plan and implementation strategy to transform the former King Size factory site into the downtown Montello Industrial Park.